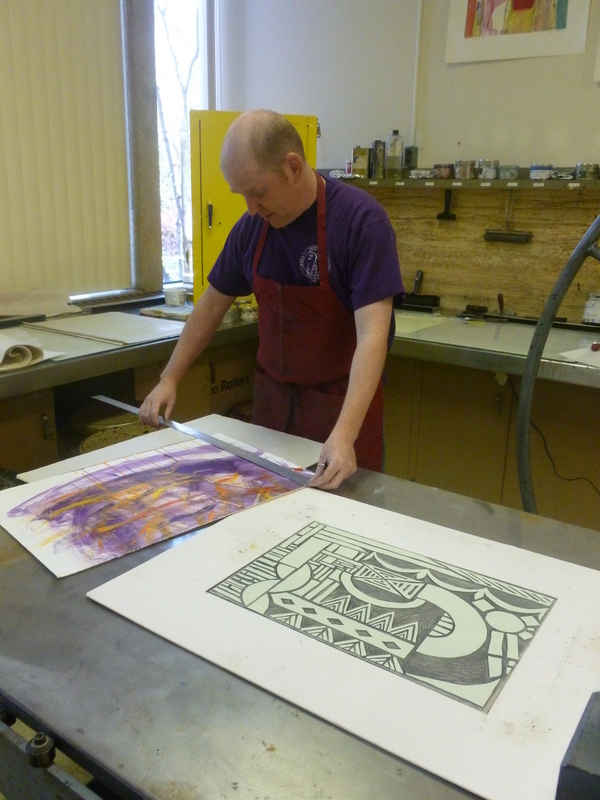 This week I’ve been printing up a storm at the BYU print facilities. It’s been great having this type of access. 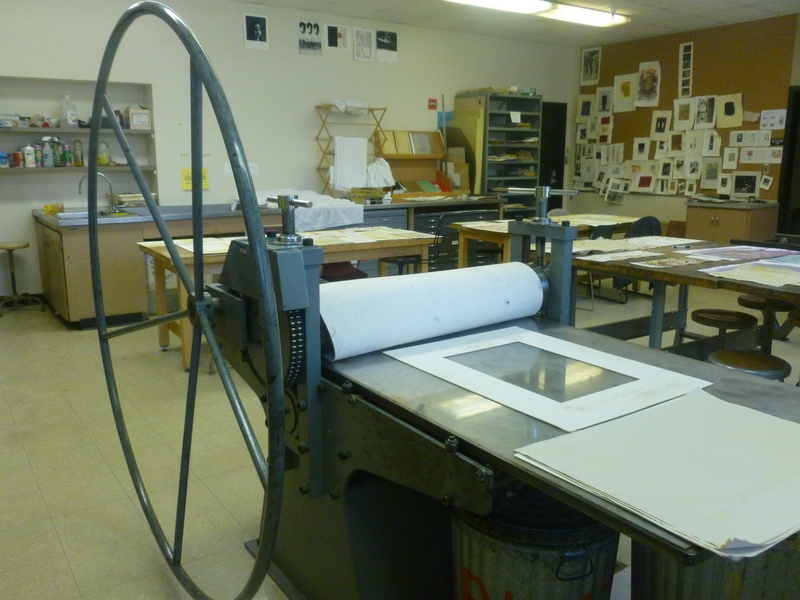 Most of the students are now on finals so the print room is relatively quiet which allows for me to spread out and really have a play. I’m working with one rectangular block and 5-6 smaller cut out shapes. This selection of plates has enabled me to produce endless possible print outcomes. 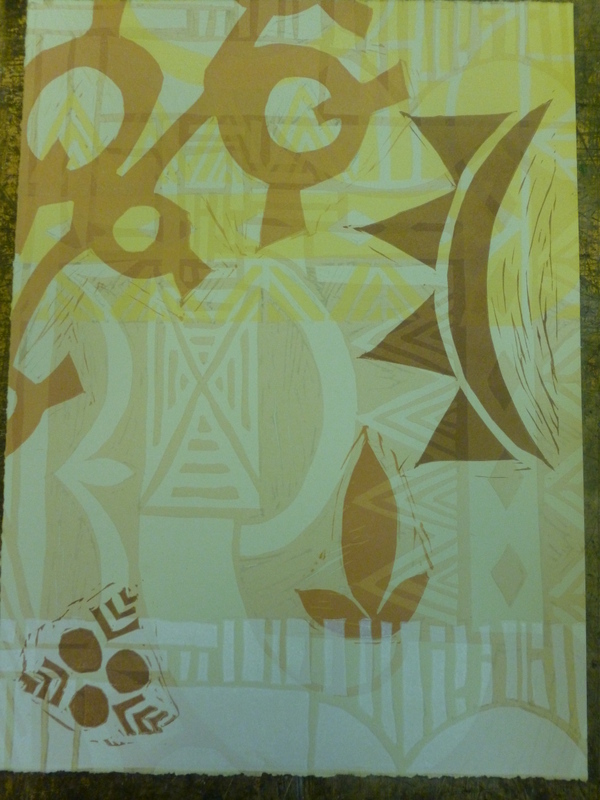 As I mentioned earlier I am not so much here to ‘edition’ but rather to experiment and play with different print combinations. Yesterday Matt and I began with the first two layers. I started out with a creamy transparent layer with the intention that over time layers of different colours will be added. Depending on the way I lay my paper down on the actual print block I eventually end up with patterns and shapes that are each very different. Matt is kindly assisting me with the rolling up of the plates and also showing me his own techniques for registration. I like his idea of using a matt board to place the original shape – I’m going to use this again for the future! It also works so well because it’s just slightly lower in height of the actual linoleum. Tomorrow I will add 2 to 3 more colours. 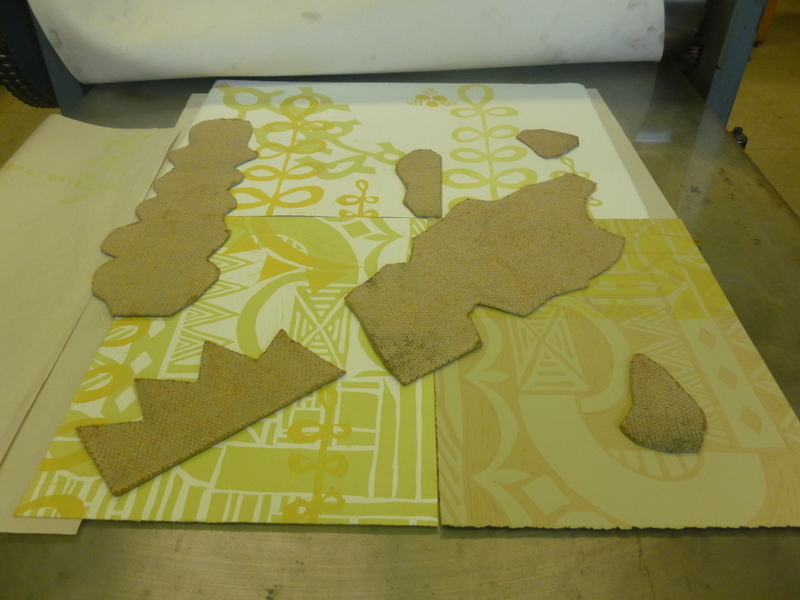 Some prints are already resolved and quite often the hardest part is knowing when to leave a print as ‘finished’ or keep going. 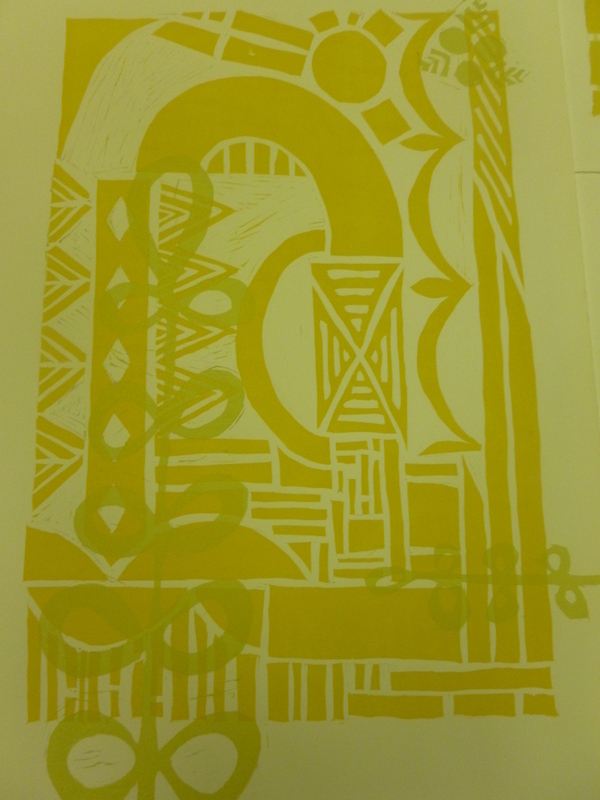 This entry was posted in Uncategorized and tagged BYU, Dagmar Dyck, relief printing. Bookmark the permalink. sorry, let me amend my typo. I am an art history student at BYU and I have read about and studied your artwork — I even presented on your artwork to my Tongan class for a cultural project. You are one of my favorite contemporary artists. I just found your blog today and am so sad that I didn’t know you were at BYU just last week! I would have loved to meet you!